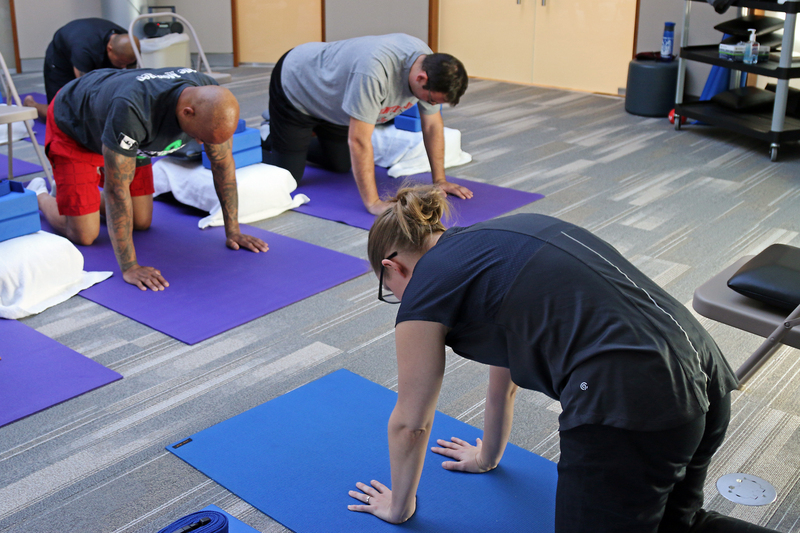 Now more than ever disabled veterans as well as ill, injured or wounded service members are finding health and healing through yoga and meditation. 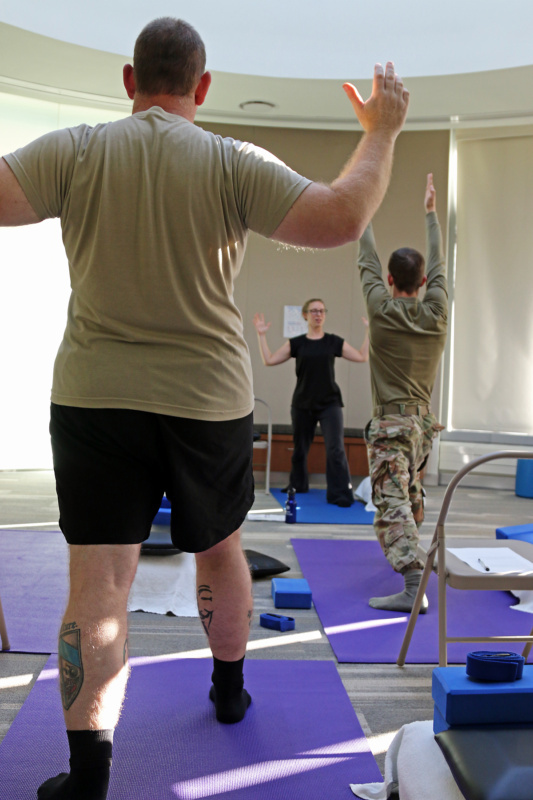 Thanks to our worldwide network of over 800 yoga and meditation teachers and partners such as the SpartanNash Foundation, Warriors at Ease is sharing evidence-based, trauma-sensitive mind-body practices with over 16,000 service members, veterans, and their families in the U.S. and abroad annually. 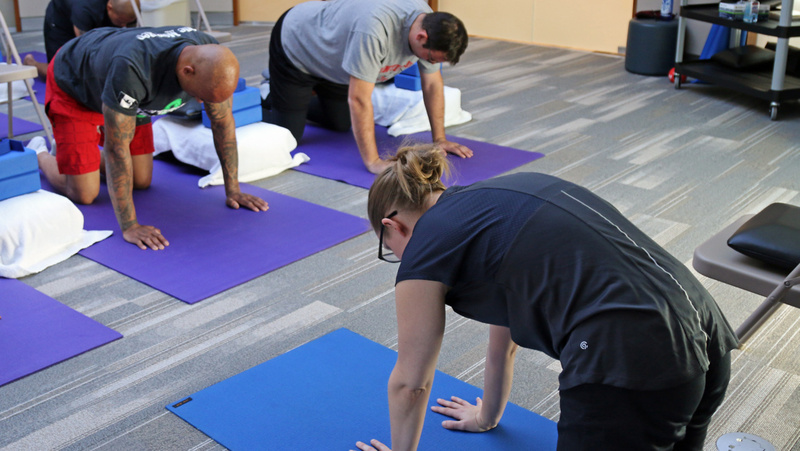 Warriors at Ease is dedicated to sharing yoga and meditation with service members, veterans and their families by 1) providing specialized training to yoga and meditation teachers and 2) by providing outreach in military and veteran communities. Our approach to training teachers and providing outreach is grounded in a specific protocol that was first developed in 2006 when our founders participated in early research funded by Department of Defense (DoD) and Department of Veterans Affairs (VA). This approach, which we’ve continued to develop over the past 12 years, established the foundation for the Train, Teach & Transform (T3) program which is funded in part by the SpartanNash Foundation. Another shining example of our evidenced-based approach and unique model is in Vietnam Veteran David Patterson. David is a Warriors at Ease teacher who volunteers his time sharing yoga with veterans of all generation at the James A. Haley VA Hospital in Tampa, Florida. David Patterson, center, at the Sivananda Bahamas Yoga Retreat for a Warriors at Ease training. 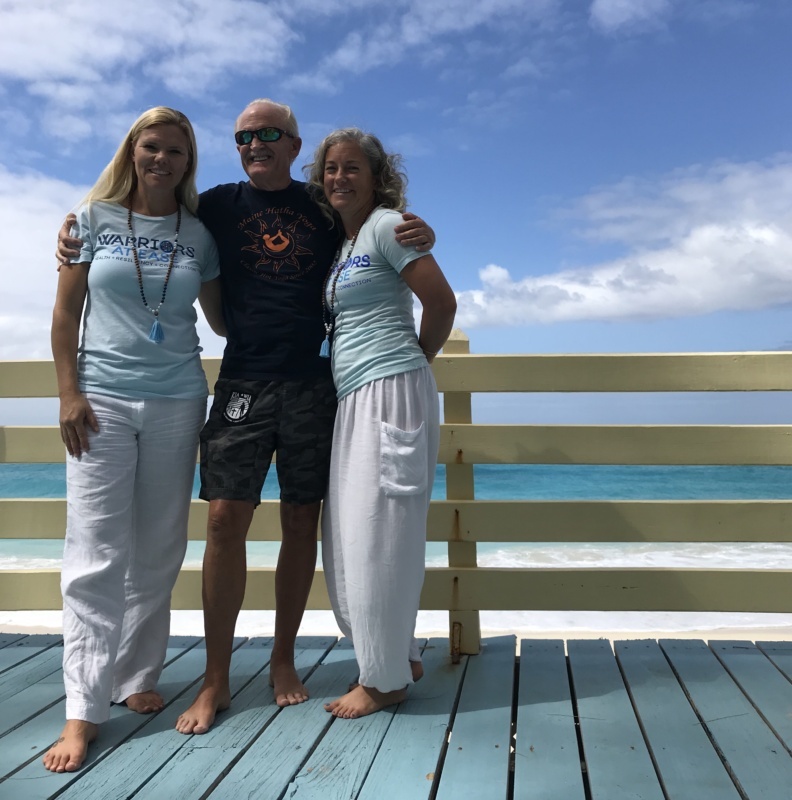 Warriors at Ease Executive Director, left, and faculty member Annie Okerlin, right, both loved working with David and hearing how he brings yoga and meditation to others in his community. Warriors at Ease is proud to support the health and healing of service members, veterans and their families, particularly those impacted by physical and mental health conditions as a result of their military service. Yoga and meditation are easily adapted for any age, level of experience or physical ability. Additionally, they are practices that can serve warriors and their families for life. When we empower individuals with these mind-body tools, the impact is exponential and often life-changing. As the demand for complementary and integrative forms of therapy in military and veteran community increases, Warriors at Ease and our highly skilled teacher network stands ready to meet that demand thanks to the generous support of the SpartanNash Foundation and others.